Is there research to support Homeopathy? The word “homeopathy” means “similar suffering” a homeopathic medicine is given based upon its ability to mimic the disease state, thereby stimulating the body to heal itself. Homeopaths consider the body’s own defense mechanism to be the optimal healing system. The properly selected homeopathic medicine stimulates these defenses to work more effectively. The development of homeopathy in the United States was marked by an impressive expansion during the beginning of the 19th century with the arrival of the first homeopaths from Europe. Homeopathic medical schools, clinics and pharmacies prospered, and homeopaths were respected and highly appreciated. Starting the 1900’s, when chemistry discovered the “wonder drugs”, such as Aspirin and later on Penicillin and Sulfas, many doctors and patients thought that they had found the real cure to illnesses, although all these drugs did was mask the symptoms of disease by mitigating pain. At that time, the dangerous side effects of those “fast acting” drugs were not known and bacterial resistance was not an issue. By 1950, only a few homeopaths were left and all the homeopathic medical schools and clinics were closed. Today, times are changing again, and in the last decade there has been a strong revival of homeopathy in the United States due to the growing evidence of the toxic harmful side effects of conventional drugs and antibiotic resistance caused by over prescription of antibiotics. According to a study done by the University of Toronto, adverse drug reactions are the #4 leading cause of death in the USA, killing over 100,000 Americans every year. During the time homeopathy almost disappeared in the USA, in Europe it continued to be used and scientific work continued to be developed. These resulted in new therapeutic strategies using homeopathic remedies. 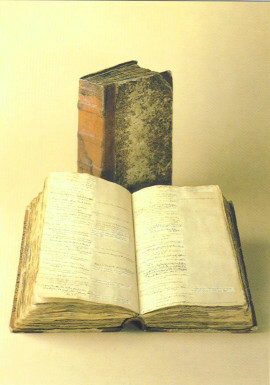 New therapeutic approaches were introduced, such as the concept of drainage and individualized polypharmacy, developed by the French physician Dr. Leon Vannier, the anthroposophical concept developed by the Austrian scientist Rudolf Steiner, the concept of homotoxicology developed by the German physician Dr. Hans Reckeweg, among others. Homeopathy has continued to expand with great success in Europe, where most countries cover it in their National Health Systems, in India where there are more than 100 schools, and in Latin America where it is widely known and practiced. New developments can be expected in the near future since modern technology is used to investigate the whole domain of homeopathy, currently a field of research in quantum physics. Also clinical research is been performed and scientifically conducted clinical trials contribute to demonstrate all the virtues of Hahnemann’s science and art. a) Any pharmacological active substance causes in a sensitive healthy individual a group of symptoms which are characteristics of the substance. b) Any sick individual displays a group of morbid symptoms which are characteristics of the disease which he is suffering. The morbid symptoms are characterized by the group of changes in the way of feeling and functioning of the person caused by the disease. c) The healing can be reached by administrating to the sick infinitesimal dosages of substances capable of producing at much higher doses, over a healthy susceptible individual, symptoms similar to the ones displayed by the sick person. The goal of homeopathy is the selection of the remedy which most closely resembles the symptomatology presented by the sick person. Homeopathic medicines are made according to a book of standards called the Homeopathic Pharmacopoeia of the United States (HPUS). 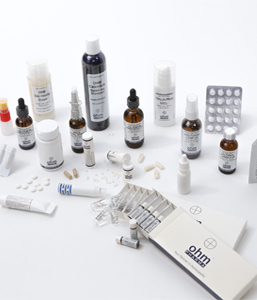 Since homeopathic medicines are considered to be drugs under United States Federal Law, the HPUS is recognized by the FDA, which regulates the manufacture, marketing and sales of all homeopathic medicines in the United States. The great bulk of homeopathic medicines come from botanical or plant sources, the rest come from minerals or biological sources. Homeopathic medicines come in various pharmaceutical forms such as globules, liquids, ampoules, suppositories, ophthalmics and topicals for local application. 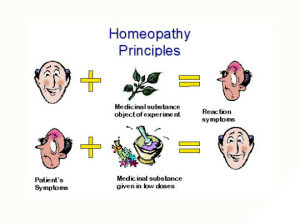 Because of the small doses used in homeopathy, the medicines are not toxic. There are no known side effects. There are no known or suspected contraindications or drug interactions between homeopathic and conventional medications. Yes. Several good quality studies published in peer-reviewed journals such as the British Medical Journal, JAMA and Lancet among others have shown homeopathy to be effective for various conditions. For updated and more detailed information about research in homeopathy please visit the page of The American Institute of Homeopathy and Homeopathy Research Institute.